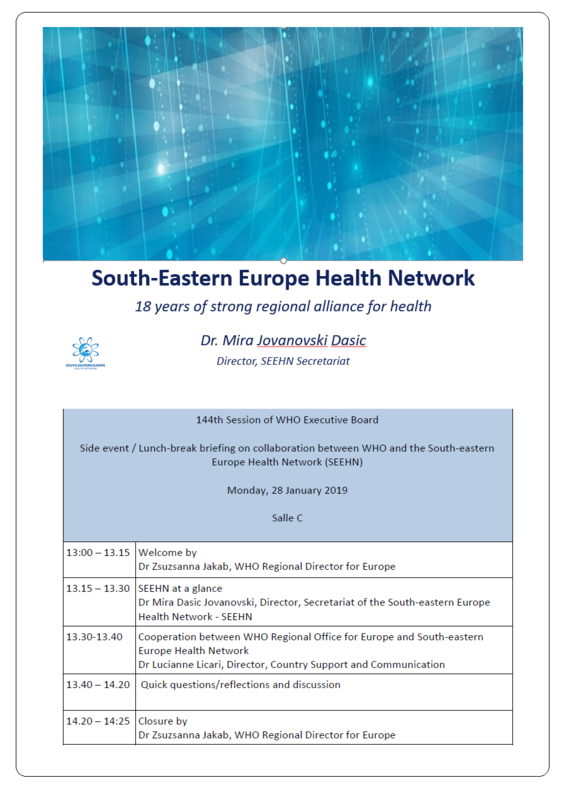 The WHO Regional Office for Europe (EURO) organized a working lunch within the WHO Executive Board 144 framework to brief Member States on the progress achieved during the long standing partnership between WHO Regional Office for Europe and South-eastern Europe Health Network (SEEHN) held on 28 January 2019 in Geneva. 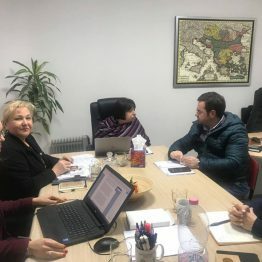 Dr. Zsusanna Jakab, Regional Director for WHO Euro, reviewed major progress and highlighted main priorities for the upcoming midterm collaboration. 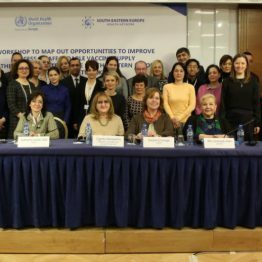 SEEHN Secretariat Director, Dr. Mira Dasic outlined key achievements in the last two years of leadership and Dr. Lucianne Licari, Country Support and Communication Director and Special Representative of Regional Director to the SEEHN spotted strategic alliances for public health in the SEE Region to maximize health outcomes and reach the targets of UN 2030 SDG Agenda. 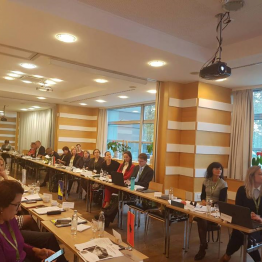 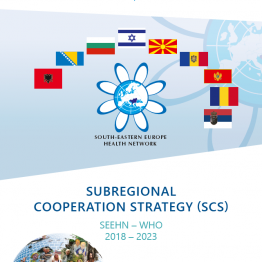 The core focus was on the joint strategic policy document between WHO EURO and SEEHN-first Subregional Cooperation Strategy (SCS) 2018-2023, to improve and contribute to health, well-being and prosperity in South-Eastern Europe within the framework of the United Nations 2030 Agenda for Sustainable Development. 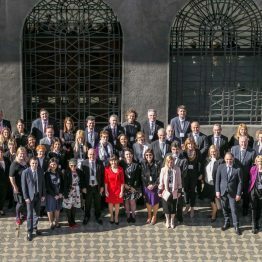 The activities are planned in a multi-country mode of cooperation mainly aimed to achieve progress at the Regional level, while at the same time advancing the national priorities and common goals. 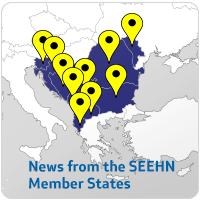 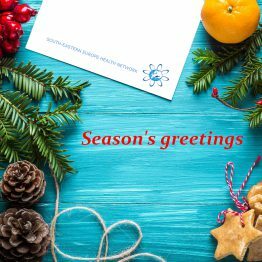 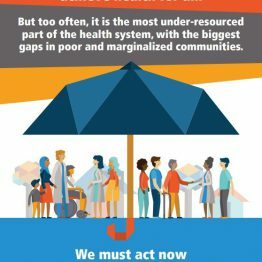 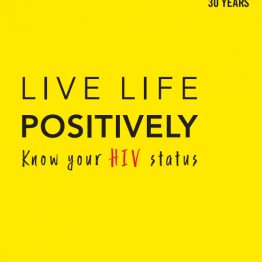 Since the SCS signing in July 2018, the parties involved started the implementation with reference to the key target of universal health coverage, in the member countries of SEEHN.